I picked up this plain wooden tray at the thrift shop recently. 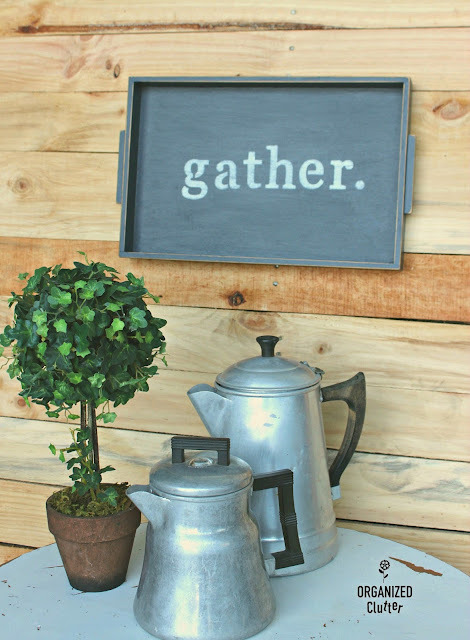 I see signs everywhere with the word GATHER. 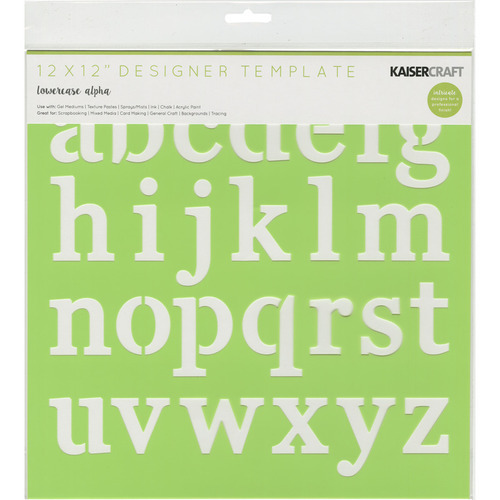 Instead of learning how to use my Silhouette stencil maker, I decided to try to make a GATHER stencil from this Kaisercraft lowercase letter stencil I found at the local craft shop. I cut the letters apart and laid them in my tray. It looked like my plan might work. So I painted the tray with two coats of Americana Decor Chalky Finish Paint in Relic. Next, I stenciled on my letters, using the dot from the i for my period. I used light ivory craft paint for my lettering. 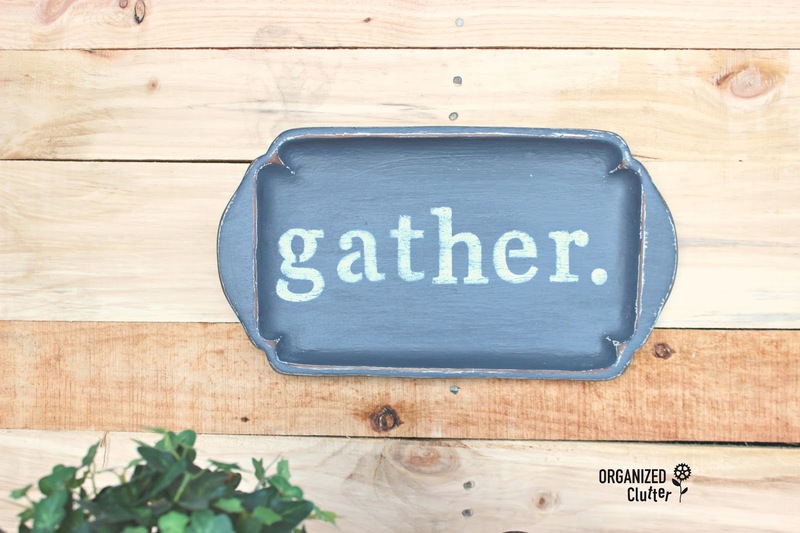 I used tiny bits of blue painters tape to tape down my stencil letters and if I had any bleeding or I pounced my brush out past the stencils, I sanded or touched up the paint with a very small art paint brush. I lightly distressed the tray's edges, and the stenciled lettering with 220 grit sandpaper. I sealed the tray with Decoart Creme Wax. I decided to hang my tray so I added a sawtooth to the back. I think my GATHER sign is perfect for a kitchen wall. This is wooden tray number 2. 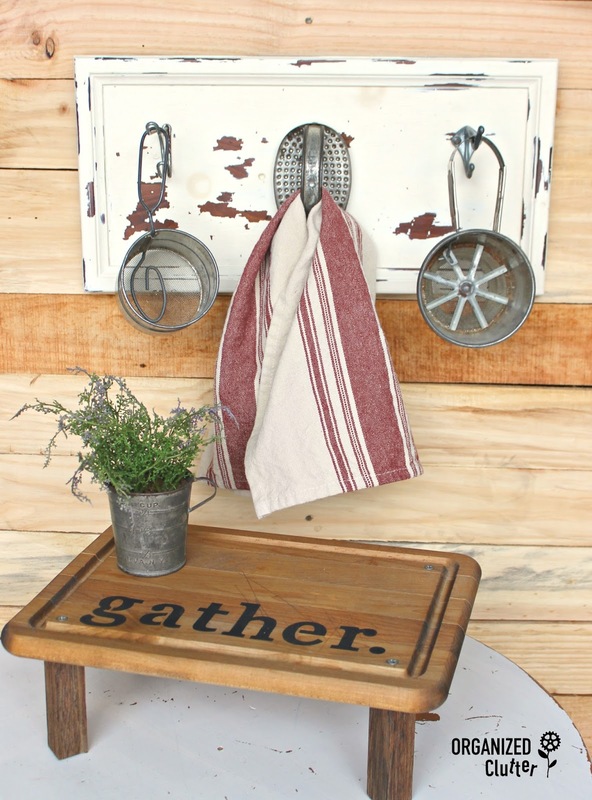 I painted it with Americana Chalky Finish Paint in Relic as well, stenciled it, distressed it and brushed on creme wax. This tray has a sawtooth for hanging too. Here is finished tray number two. My last project started with this cutting board from the thrift shop. I decided to add GATHER to the cutting board too but with with black craft paint. I wanted to darken the board so I brushed on some of my vinegar/steel wool stain. Information about this stain is all over the internet and pinterest. I also added four legs to the cutting board. The legs are made from a 1"x 1" x 36" square dowel from the craft shop. I screwed them on right through the top of the cutting board on an angle. They looked better that way. To seal the project, I brushed on Miss Mustard Seed Hemp Oil. Hemp oil is safe for food products but not sure about the vinegar/steel wool stain. Anyway, it is more of a shelf/riser for display. The board would work to add vertical height on a counter or dining table. I think the cutting board shelf is very fun! 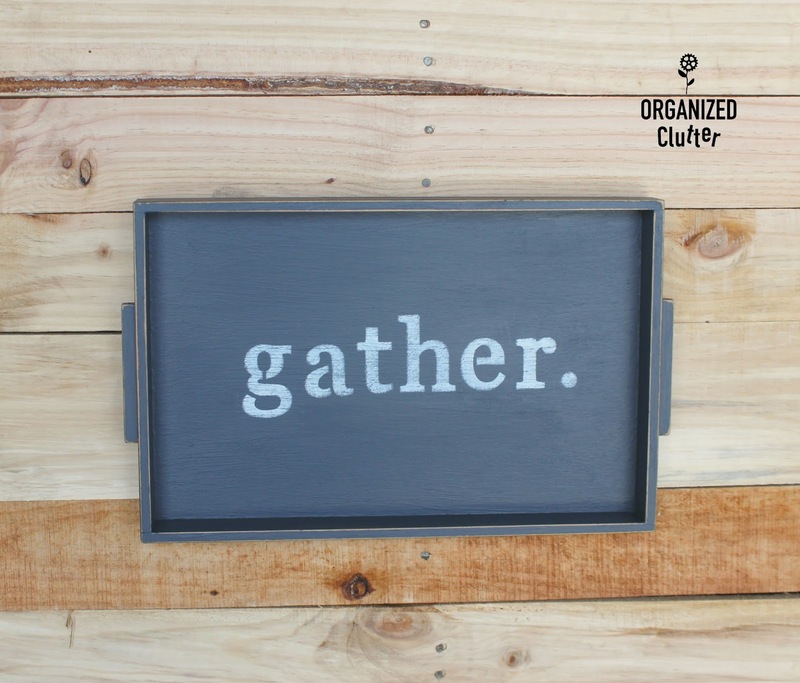 Do you have any thrift shop purchases to GATHER up and stencil? 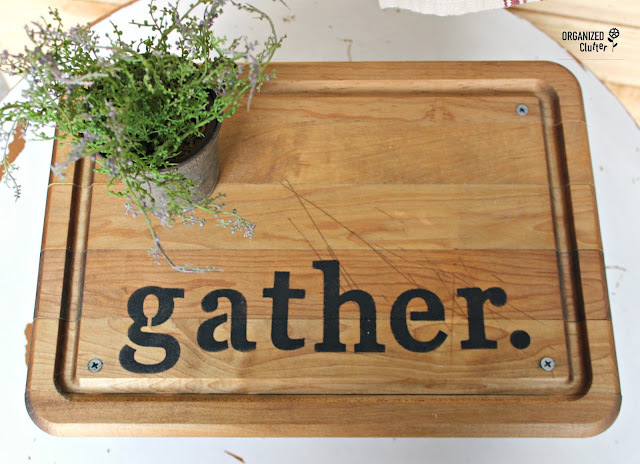 3 good 'gather' s, pinning. I love finding suitable trays and boards at the thrift store as backgrounds for stencilling. These turned out great, Carlene...I really love the cutting board shelf! AHH!!! 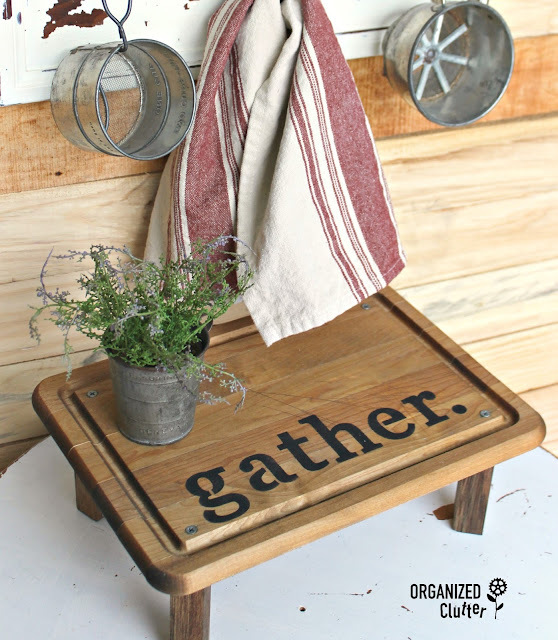 The cutting board shelf is DARLING! And I really love your striking gather message. Bold and trendy! So sharp! Really loved this post, Carlene! Pinned! These are all really cute. My only suggestion might be to use command strips of Velcro so you can pull it off the wall and use it and then slap it back up on the wall. 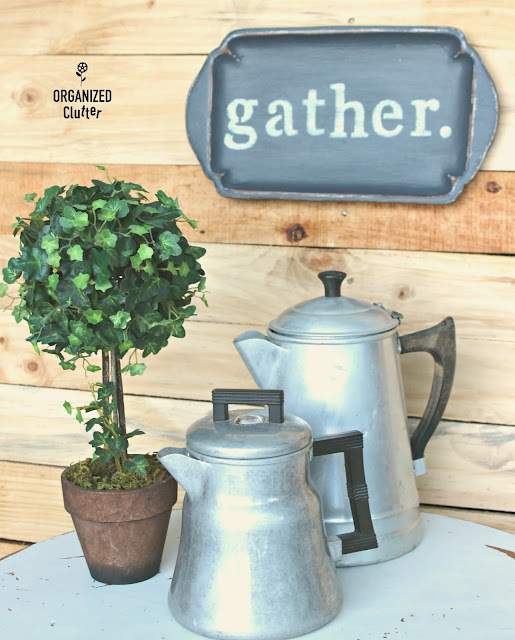 Great post and love grandmas coffee pot! Never passing by another cutting board at yard sales! Thanks!